Organics in the soil can significantly improve soil’s physical and chemical properties so that the soil tillage will become better, seepage capacity will increase. Also the water retain capacity, bio organic fertilizer retain capacity, fertilizer support capacity, drought resistance capacity and waterlogging prevent capacity will be largely increased. These functions can not be replaced from the chemical fertilizers. The method to increase the soil organic matter is to increase the organic fertilizer applying and organic fertilizer production plant working. In the past, organic fertilizer had played one important role during traditional agricultural production. 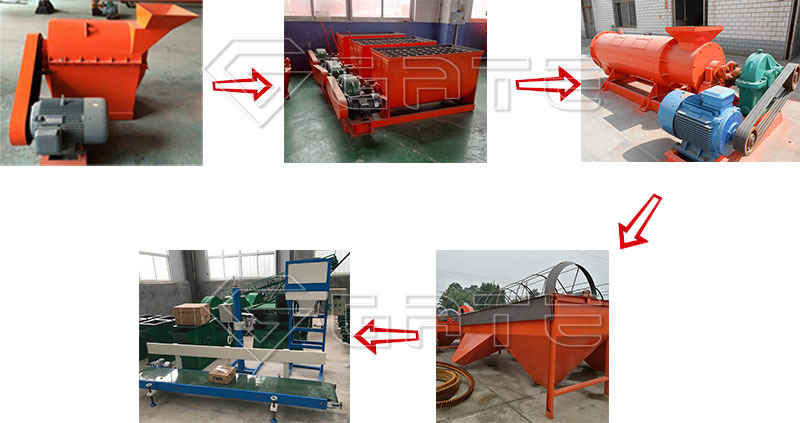 With the development of modern industry, the apply of chemical fertilizer has been more and more extensive. It has the characteristics of simple application, quick affection and high production that it has also made a significant contribution on crops growing.However, if do not follow the fertilization “organic fertilizer based, supplemented by chemical fertilizer’’, long days and large quantity chemical fertilizer using singlely, the soil will become harden, strength reducing and acidification seriously. This will restrict to the crop yield and affect the product quality. So to start bio organic fertilizer production process will be important now. With the advancement of agricultural modernization, the role of organic fertilizer has been re-attentioned in agricultural production. Through using organic fertilizers, the final agricultrual products will be full of good tastes and their own unique nutrition will be effectively maintained. While applying organic fertilizers also plays a pivotal role in the soil environment protection and improvement. 2.Organic microorganisms in organic fertilizers can also inhibit the propagation of harmful bacteria. Many years’ organic fertilizers using will effectively inhibit soil pests. 5.Microorganisms in bio organic fertilizer have a strong vitality and long-term survival in soil. Nitrogen fixation bacteria, phosphorus, potassium and other microorganisms can use the nitrogen in the air and release the potassium and phosphorus in the soil which are not easily absorbed by crops. This will continuously supply nutrient to the crops. 6.It is said that chemical fertilizer in the soild can just be absorbed of 30%-45% content. Others will be released into the atmosphere, lost with the water and fixed in the soil. All these will not be absorbed by the plants and these will cause soil salinization, compaction and other adverse consequences. When we apply organic fertilizers, its beneficial biological activities can the soil structure, increase soil water retention and fertilizer capacity, thereby reducing the loss of nutrients. 7.Organic fertilizer can increase crop yield and improve the quality of agricultural products. 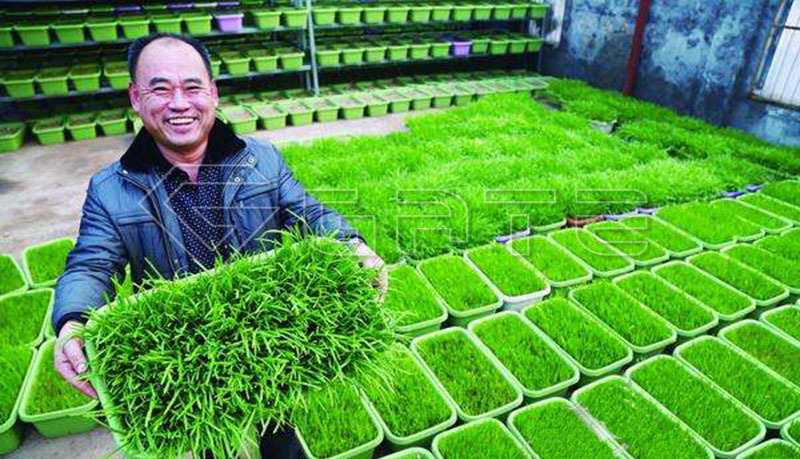 Under the conditions of same nutritional elements, to compare the organic fertilizers and chemical fertilizer in the application of base fertilizer, generally speaking, the organic fertilizer will be much better. As topdressing application, the fully decomposed organic fertilizer will be much better than chemical fertilizers. How to make good organic fertilizers? 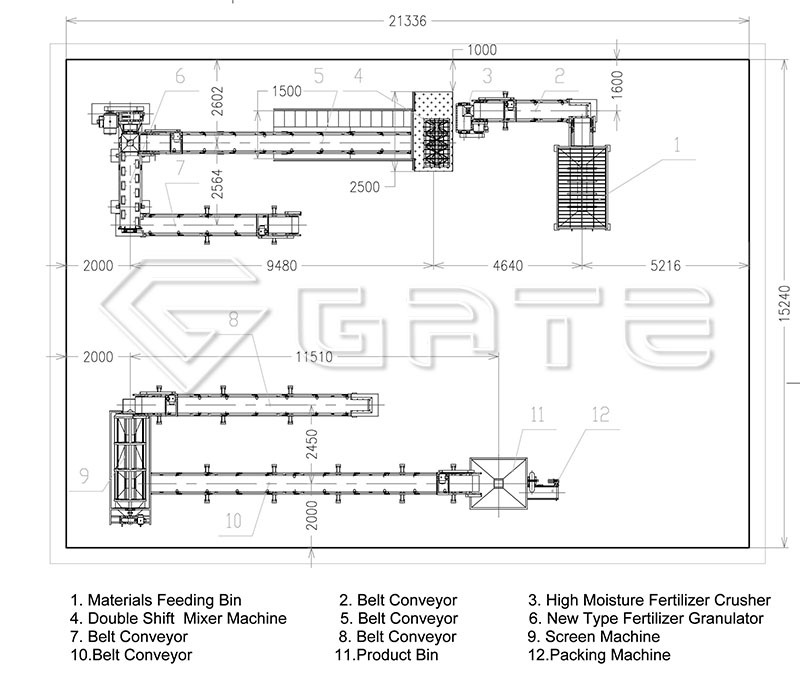 To start one organic fertilizer plant line? 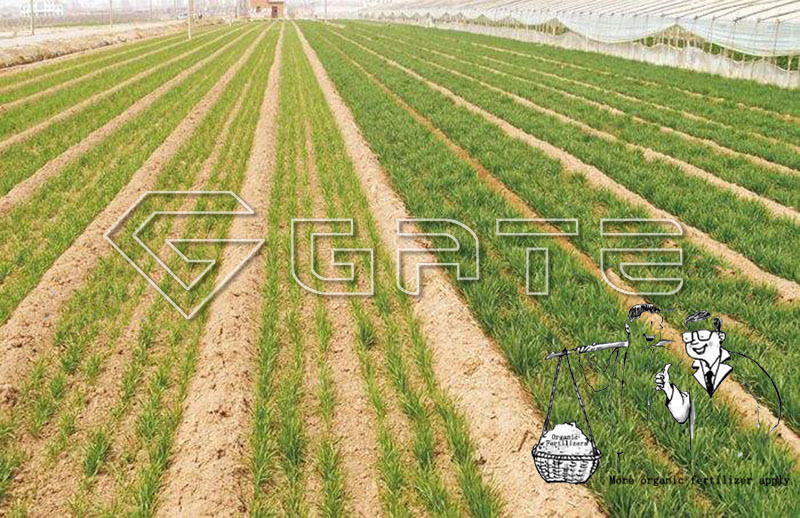 As in this situation, we Henan Gate Heavy Industry Technology Company Limited can provide kinds of solutions for customers to step in this field. 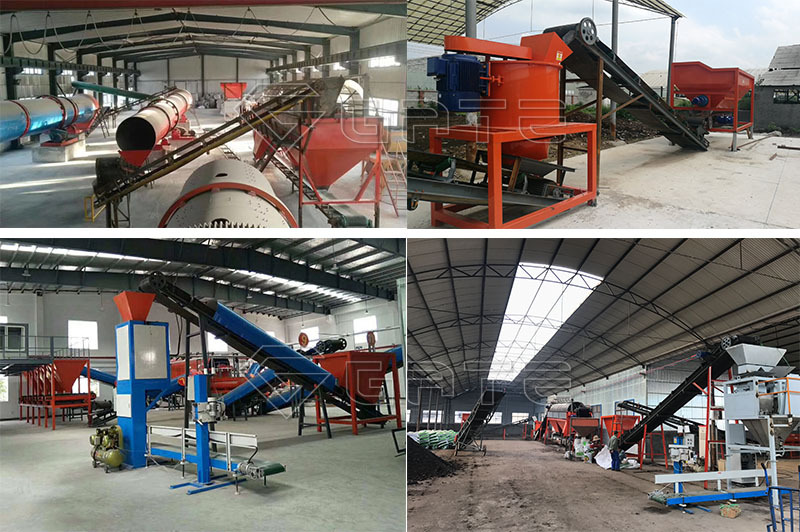 Generally speaking, for the first-time investors who are planning to set up fertilizer plants, we always recommend our customers to do local market research first, and then choose a small scale organic fertilizer production plant to start. 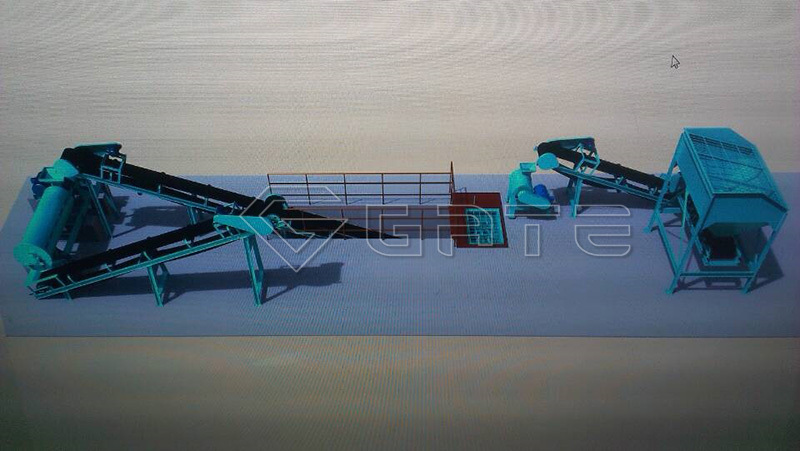 Production capacity of the mini organic fertilizer production line is 1,000 kg per hour. The hourly output can be up to 500 kg if you prefer a smaller capacity. The plant design is reasonable, optimal and customizable. Mini Line will greatly decrease the bio organic fertilizer production line cost, assuring this investment safer and more flexible.